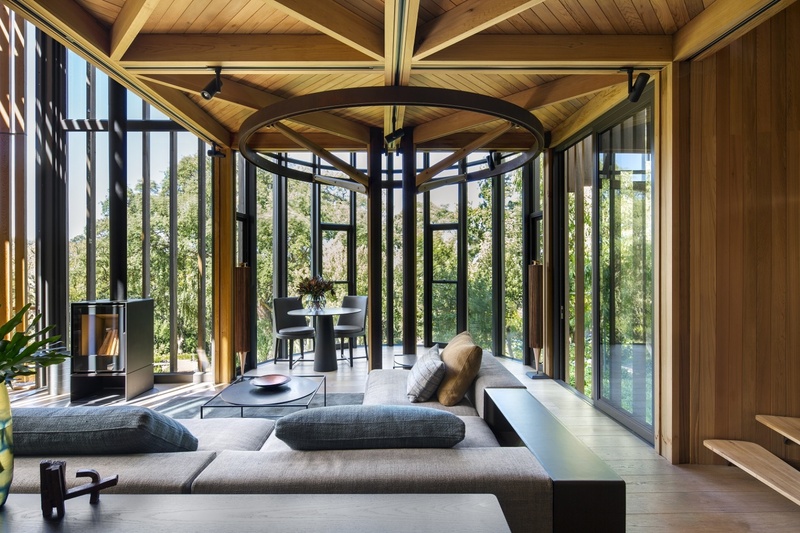 The owners of this tree-rich property commissioned the design of a cabin-like, one bedroomed hideaway resembling a tree house. 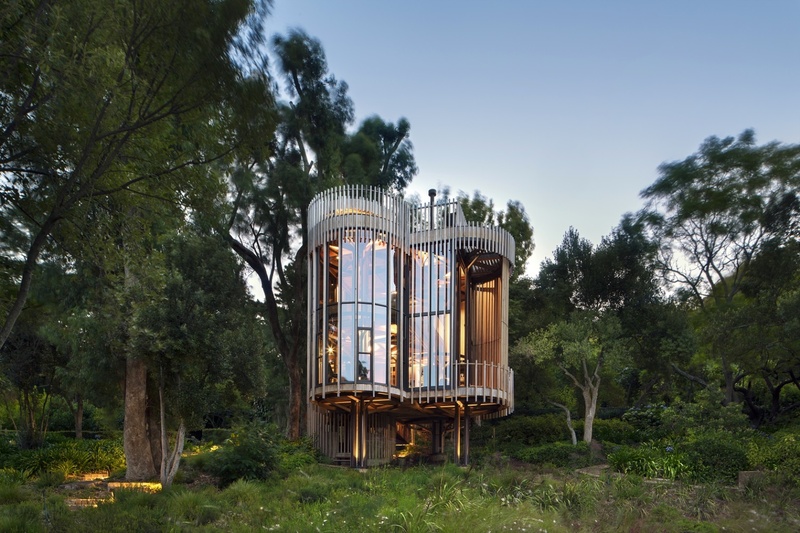 Malan Vorster’s architects came up with a vertical ‘clearing in the forest’ that is a tree house both in shape and in the materials used. Malan Vorster designed a floor plan in the shape of a square, with a circle on each of its four sides. 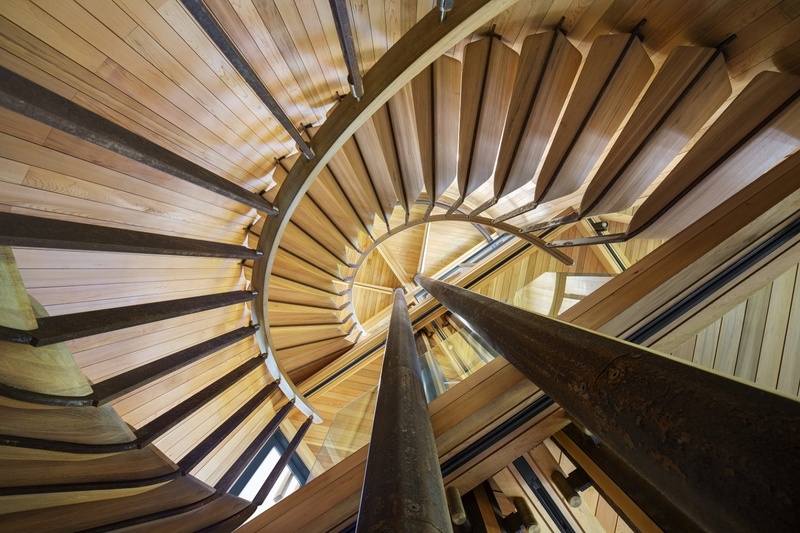 Each circle rests on a central column that ‘branches out’ to support the floor beams above, giving the structure the natural appearance of a small cluster of trees. Large glass façades provide a certain openness, creating the sense of a clearing in the forest. This impression is reinforced by the fact that the building touches the ground lightly, with a suspended timber and steel ramp giving entry to the cabin. 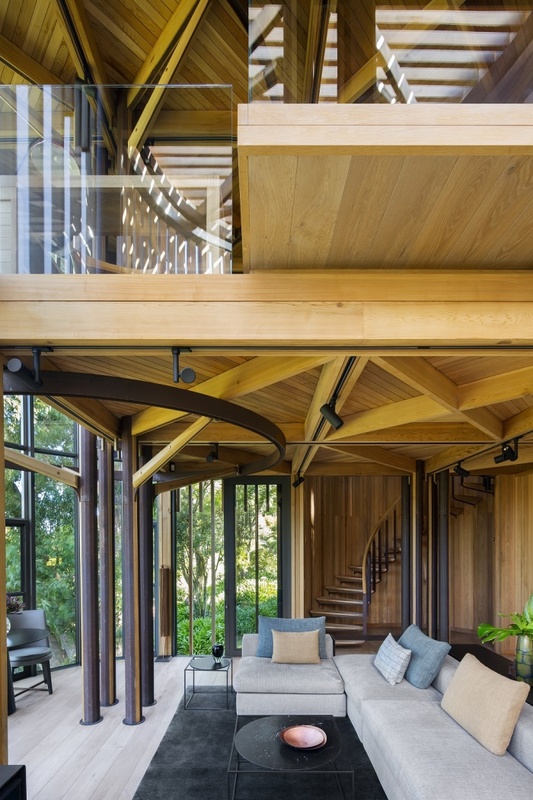 A living space on the first level, a bedroom on level two and a roof deck on level three form the heart of the tree house. Malan Vorster envisioned the half round bays to accommodate separate functions, including a dining area, bathroom and, on the top level, a built-in seat to enjoy the stunning views. These spaces are articulated by their pure geometric shapes. Malan Vorster selected only materials that would reflect the passage of time by weathering naturally. 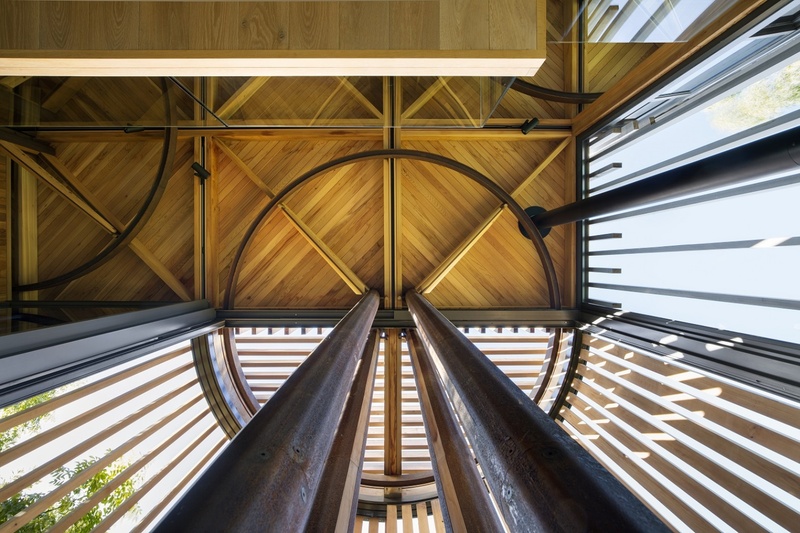 Columns, arms and rings are made from Corten steel plate, with the building envelope consisting of timber floor beams, western red cedar and glazing. Hand turned brass components accentuate the connection points between steel and timber. With time, the untreated materials will blend in beautifully with their environment, making the cabin a tree house in the truest sense of the word.